Pharmacy technicians play an important role in health care. They distribute prescription medications and other health care products to patients under the supervision of a registered pharmacist. Pharmacy technician programs prepare students for this most important role. Most of them can be completed in just 6 to 8 months. Through didactic and hands-on training, you’ll learn how to perform various tasks to support the pharmacist. 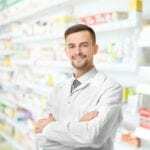 Common tasks include receiving prescription requests, updating the pharmacy database, processing payments and insurance claims, packaging and labeling medications, and performing administrative duties such as creating and updating patient profiles and managing inventory. The majority of trained and certified pharmacy technicians work in community pharmacies, hospitals, and clinics. Some technicians may have the advanced skills to work with insurance companies, pharmaceutical manufacturers, and similar settings. Healthcare facilities may operate round the clock, requiring technicians to have some flexibility in their schedules to work nights, weekends, and holidays. 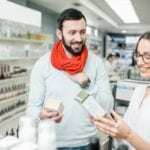 According to the United States Bureau of Labor Statistics, the need for pharmacy technicians will continue to increase 12 percent through 2026. The projected growth results from the rising demand for medication, availability of new drugs, shortage of registered pharmacists, and the aging population. Students enrolled in the pharmacy technician program at Gary Job Corps Center will learn how to prepare medications, mix, count, label, and record dosages, maintain patient profiles, receive written prescriptions and refill requests, and adhere to proper storage conditions for medications. Students will be prepared for entry-level employment in a retail or community pharmacy. They will also be eligible to take a national exam for certification as a Pharmacy Technician. The program may be completed in 8 to 12 months, but students will have up to 18 months to complete the requirements. Students enrolled in the program will receive free tuition and materials. The pharmacy technician program at North East ISD includes classroom instruction and a pharmacy externship at an outside facility. The program prepares students to meet the growing need for pharmacy technicians in community and institutional pharmacies. The curriculum includes 50 hours in the classroom and 80 hours at a clinical site. Areas of study include pharmacy calculations, dosage calculations, identifying drugs by generic and brand names, reading and interpreting prescriptions, review of the top 200 drugs, drug compounding, inventory control, billing and reimbursement, IV flow rates, medical terminology, and dispensing of prescriptions. Graduates will be prepared to pursue certification through the Pharmacy Technician Certification Board exam. Tuition costs $1,399 and includes the course textbook. Medix sponsors a fast-paced Pharm Tech Direct program that prepares students for a career as a pharmacy technician in just 8 weeks. The instruction will include preparation for the national certification to become a Certified Pharmacy Technician. The program is delivered in two phases. The first phase covers 10 modules and a final exam. Course modules include How to Use The Course, Introduction to Pharmacy, Dosage Forms and DEA Scheduling, Anatomy and Physiology, Interpreting Prescriptions, Pharmacological Calculations, Pharmacy Law, Community Pharmacy, Institutional Pharmacy, Pharmacy Benefit Management. Phase two will include two practice exams and a full review for the Certification Exam. Graduates will receive help with job placement after certification. Pay the $50 enrollment fee when notified of acceptance to the program. The College of Healthcare Professionals offers a blended pharmacy technician program that prepares students for professional success. Over a period of nine months, students will learn how to package and label prescriptions, manage inventory, measure medications for packaging, and much more. The program will cover 900 clock hours (41.5 semester credits) of theory and practical instruction in 30 weeks. Course modules include Master Student/ Study Skills, HIPAA/OSHA/Infection Control, Medical Terminology, Anatomy and Physiology, Intro to Pharmacy, Ethics and Patient Safety, Institutional Pharmacy, Community Pharmacy, Pharmacy Calculations, Pharmacy Techniques and Practice, Sterile Compounds, Parenteral and IV Admixtures, Customer Service/Professionalism and Career Preparation, Cert Prep for Pharmacy Technicians, and Pharmacy Technician Externship. The externship will cover 180 hours and totals 4.0 credit hours. Students must take and pass the Pharmacy Technician Certification Exam before completing the program. Graduates will participate in the career readiness program that will include resume writing, interviewing and eventual job placement. Tuition costs $16,300. Financial aid is available for eligible students. Southwest Schools prepares adults for employment in an institutional or community pharmacy. They maintain small class sizes to offer personalized instruction for students to complete the program in a timely manner. Day, night, and weekend schedules are available. The day classes will be completed in 8 months. The duration of the night and weekend classes is 12 months. Graduates will have the skills, knowledge and abilities to take the national exam to become a Certified Pharmacy Technician. Course modules include Business Communication for Careers I, II, and III, Computer I, Job Readiness, Keyboarding I, Office Procedures, Professional Development, Introduction to Pharmacy and Pharmacology, Anti-Infectives and Pharmacy Law and Regulations, Nervous System, Drugs, Dose Forms and Routes of Drug Administration, Anticonvulsants and Community Pharmacy, Respiratory, Gastrointestinal and Basic Measurements, Urinary and Cardiovascular, Muscle Relaxant, Hormones and Topicals, Chemotherapy and Nutrition, Certification Preparation Review, Calculation, and Externship. The curriculum will cover 430 hours of theory, 220 hours of lab practice, and 125 hours for a pharmacy externship. The program total is 775 contact hours or 55.0 quarter credit hours. In-state tuition and fees cost $14,610. The Pharmacy Technician Program at The Healthcare Institute helps adults attain the skills, abilities and knowledge to practice in n professional pharmacy environment. 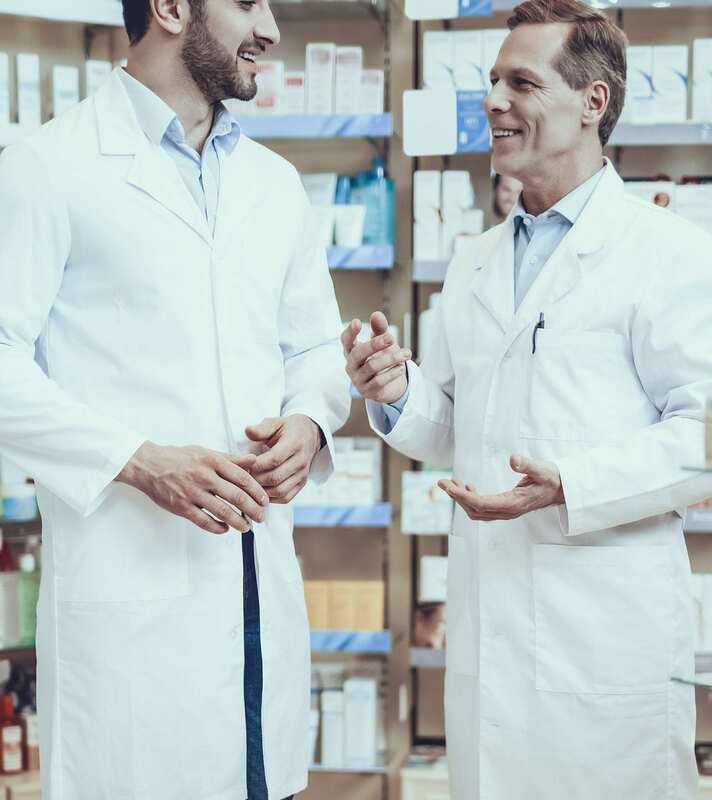 Students will learn how to perform the basic duties of a technician in a retail or institutional pharmacy, prepare correct dosages, administer medication, recognize abnormal reactions to treatment, and follow administrative skills. Course modules include General Pharmacy Introduction, Data Entry and General Office Skills, Anatomy and Physiology, Pharmacy Math, Drug Classification. Pharmacology, Community Pharmacy, Institutional Pharmacy, Intravenous Admixture, and Clinical Externship. The curriculum will cover 750 contact hours of instruction including 200 hours for the clinical externship. Tuition costs $11,900 per year. The cost does not include expenses for textbooks, supplies, uniforms, and fees. The pharmacy technician program at Good Careers Academy covers 905 contact hours of didactic and practical training in just 35 weeks. Students will be prepared for entry-level employment in a retail or institutional pharmacy setting. The curriculum will cover topics such as medication safety, record keeping, pharmacy law and ethics, professional liability, trade name and generic medications, anatomy and physiology, medical terminology specific to pharmacy, aseptic techniques, and IV orders. Students enrolled in the Pharmacy Technology program at Northwest Vista College will develop the technical knowledge and practical skills to function as an entry-level technician in retail and community pharmacies. The curriculum incorporates theory and practical training in pharmaceutical calculations, receiving and filling prescriptions, management of inventory, and preparation of sterile products. It will cover 624 contact hours of lecture, lab, and pharmacy externship. Course modules include Medical Terminology, Institutional Pharmacy Practice, Introduction to Pharmacy, Drug Classification, Pharmaceutical Mathematics I, Pharmacy Law, Community Pharmacy Practice, Intravenous Admixture and Sterile Compounding, Special Topics in Pharmacy Technician/Assistant, Pharmacy Drug Therapy and Treatment, and Practicum (field experience). During the practicum, students will be mentored and supervised by a workplace employee to meet the objectives of the program. Students are expected to attend all classes – absences are strongly discouraged. Students who miss practicum days may be asked to withdraw from the program. Tuition costs $99 per credit for in-state students.